To tie in with the Healthy Workplaces Manage Dangerous Substances campaign, EU-OSHA has created an infosheet on an important topic in this area. 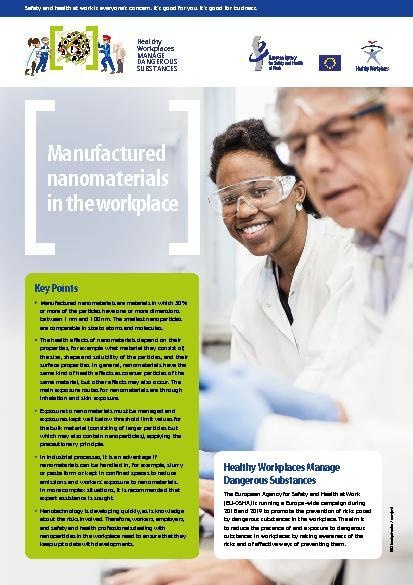 Manufactured nanomaterials in the workplace provides information and advice on managing the risks posed by this fast-developing technology. Nanomaterials are used in many fields and may have a range of toxic effects. This infosheet presents the key facts and is now available in 17 languages. Visit the Healthy Workplaces Manage Dangerous Substances website and download the infosheet in your language.